HomeHome30 for 30: Will this team make the playoffs? 30 for 30: Will this team make the playoffs? There’s no more waiting, the new season starts tonight. 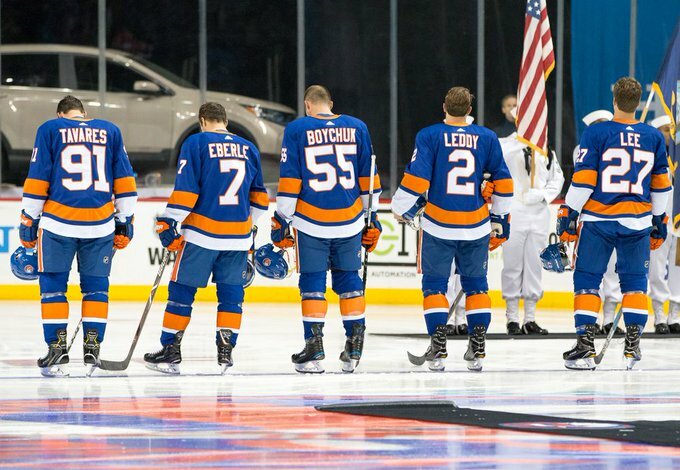 For the New York Islanders, there are many questions that they will face in 2017-18. After missing the playoffs for the first time since the 2013-14 campaign, the expectations are still high for the Isles. With an entirely new coaching staff and new blood ready to make an impact, this season could be something special, or the final chapter before major changes is made. Throughout this countdown, I’ve lost track of how many times we’ve talked about the word “playoffs”. And with puck drop just a few hours away, the obvious question needed to be asked: Are the Islanders a playoff team? 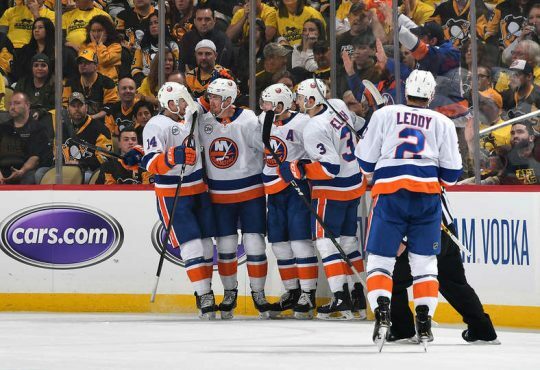 The coaches, players, fans and critics alike have been talking about the Islanders and the playoffs since the last day of the season a year ago, where the team missed out on a berth by just a point. And for good reason. This team was projected to take another step forward last year after making it to the second round of the playoffs in 2015-16, but that was not the case. New York went 6-10-4 through the first 20 games, digging themselves a deep hole. Their free agent pick-ups struggled to adjust, the defense was problematic, the goaltending was subpar, and the team couldn’t be trusted with leads late in games. The team continued to fight to claw their way out of the cellar in the middle months of the season, but they didn’t make headway until a much-needed move took place. As the second half of the year got underway, Doug Weight took over for head coach Jack Capuano, and the team responded. Under Weight, the Isles were more consistent winning 24 of their final 42 games, but there were games they were not ready to play, which costed them in the end. But last year is now in the past, and returning to the postseason for the third time in four seasons is on the marquee for the Isles. 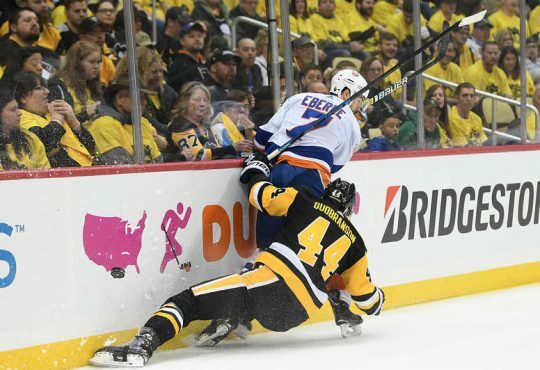 Every player in that locker room, including the new players — Jordan Eberle, Mathew Barzal, and Ryan Pulock — all have a bitter taste in their mouth from how the end of last season unfolded. Those players talked all summer about how much they reflected on what could have been and needing very little motivation to prove last years’ setback was a fluke. Offensively, they are loaded up front. It starts with the newly formed first line of Anders Lee, John Tavares, and the aforementioned newcomer Jordan Eberle. 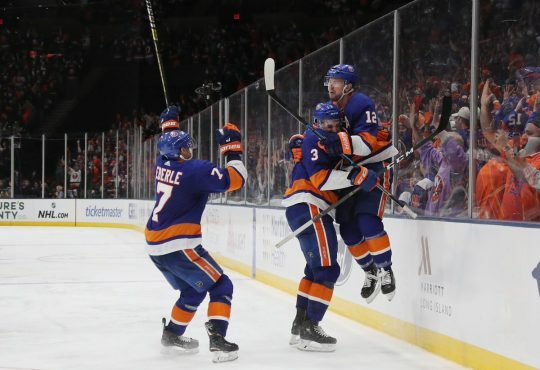 Lee scored a career-best 34 goals last season, Tavares will be looking to bounce back from only recording 66 points a year ago, while Eberle will have a chip on his shoulder and something to prove. The rest of the forward group is as deep as the Islanders have been in a long time. 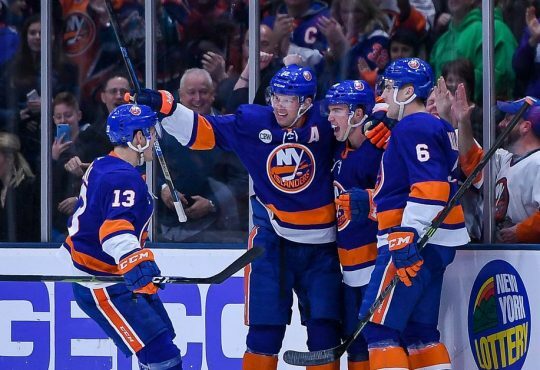 Josh Bailey, Brock Nelson, Andrew Ladd, Jason Chimera, Cal Clutterbuck, Casey Cizikas, and Nikolay Kulemin all bring certain intangibles that a team needs for them to take the next step. There’s also the youth and enthusiasm. Two components the team has lacked over the past few years. The infusion of Josh Ho-Sang, Mathew Barzal, and Anthony Beauvillier in to the forward core adds more speed and skill, and new faces ready to rise to the occasion. On defense, the Islanders have a bountiful of experience and fresh faces. Nick Leddy, Johnny Boychuk, and Dennis Seidenberg all have been through the grind, and know how much it takes to be a playoff team and go far doing it. Calvin de Haan will be looking to build off his best season as a pro, while Thomas Hickey is still reliable and will be looking for a bounce back campaign. The three young guns — Ryan Pulock, Adam Pelech, and Scott Mayfield — all bring a certain quality to the defensive corps that add another dynamic. In goal, Jaro Halak and Thomas Greiss are ready for their role as one and one-a and have the makings of one of the more underrated duos in the sport. Halak, is ready to build off his performance at the end of last year, plus he’s in a contract year. 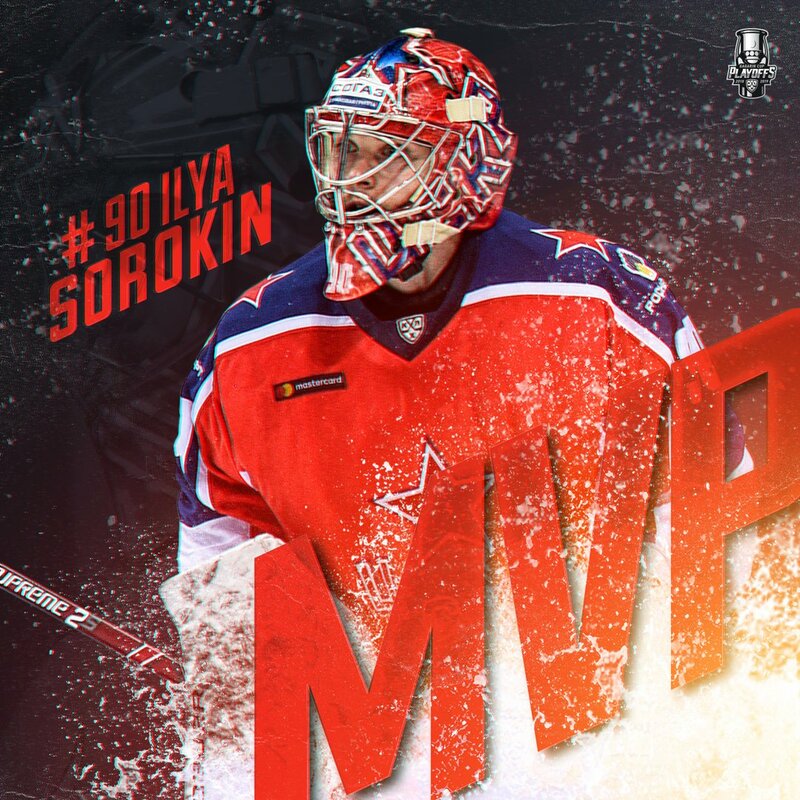 He will be on his game, showcasing himself to the Isles or possible other teams that might want his services in the future. Behind him, Thomas Greiss will be looking to build off his season a year ago where he won a career-high 26 games in 51 games. Greiss and Halak need to turn back the clock to 2015-16 when they both posted over 35 wins and were one of the best one-two punches in the NHL. Behind the bench, Doug Weight is now head honcho, while his new assistants — Kelly Buchberger, Luke Richardson, Scott Gomez, and Fred Braithwate — all have a plethora of experience and winning pedigrees. Unquestionably, this is the biggest season for the Islanders in the franchises’ history. Aside from the off the ice drama, the organizations’ future has finally arrived. This team has reached a point where just being a wild-card is no longer accepted. The Isles have to establish themselves as a threat in the East and potential Stanley Cup contender. They have the roster to do it, now the results need to occur on the ice. Prediction: The Isles make the playoffs as the third seed in the Metro. 30 for 30: Is this Garth Snow’s last chance?